Featuring musical entertainment by the world famous Paul and Fred of Little Feat! Our 2017 Concert and Poker Party! * Poker Tournament with $500 prize! 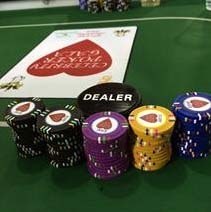 The poker tournament is $75 - sign up below for EARLY BIRD discount of $60 through March 30th! Please call 800-277-0497 with questions and see you at the event! 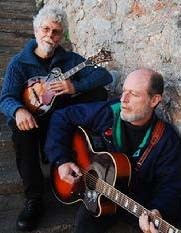 Paul Barrere and Fred Tackett of Little Feat! General Admission is $30 at the door. Safety Harbor Kids (SHK) was the vision of a parentless child who vowed to help other kids like him, learn how to better their lives through education and personal development. Safety Harbor Kids is a 501c3 nonprofit with the mission to enrich the lives of orphans, foster and homeless children through education in the areas of College, Career, Music and the Arts.